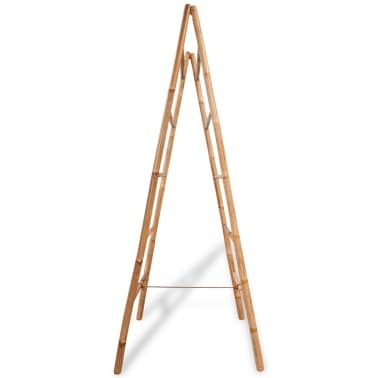 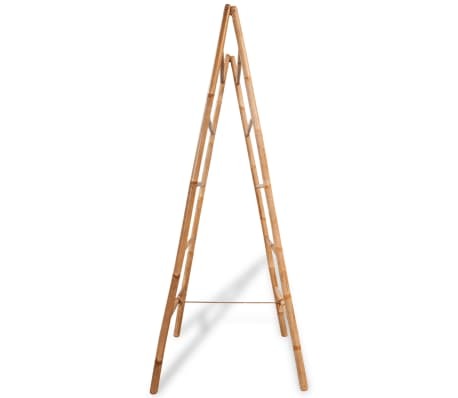 vidaXL Double Towel Ladder with 5 Rungs Bamboo 19.7"x63"
This double bamboo towel ladder is uniquely designed to be used as a towel rack in the bathroom or as a decoration in your home. 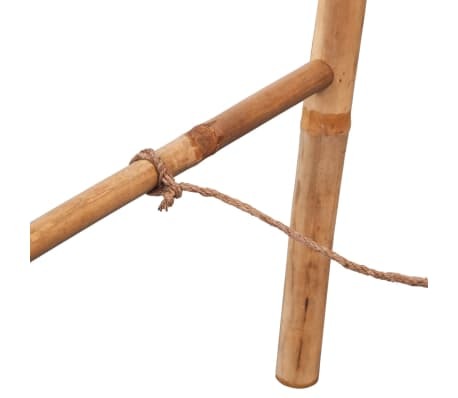 It is also strong enough to be functionally used for general household chores. 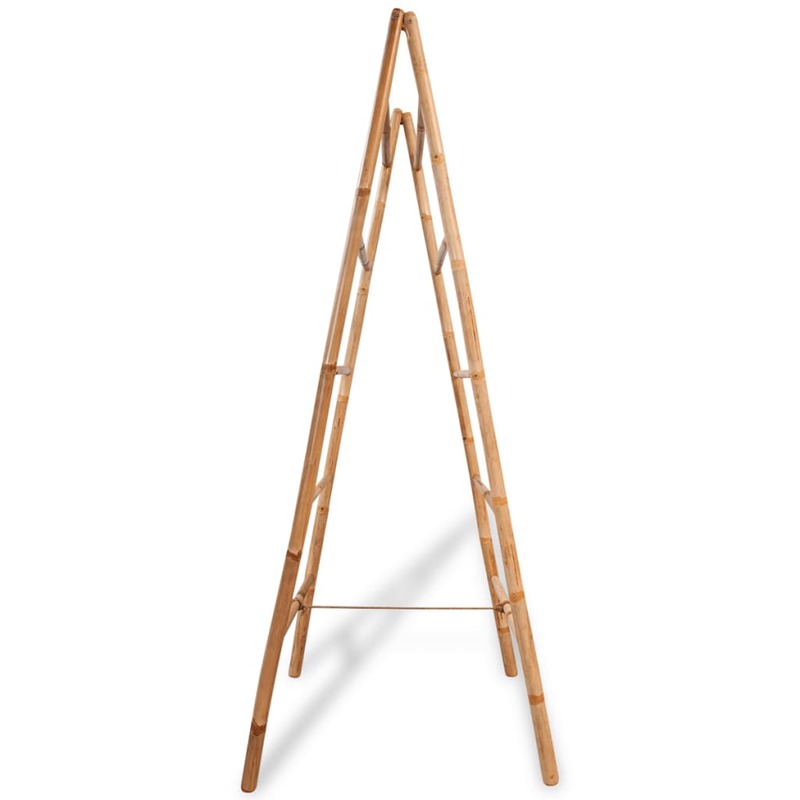 The double sided design provides you with more rungs for hanging fresh or used towels for easy access or drying. 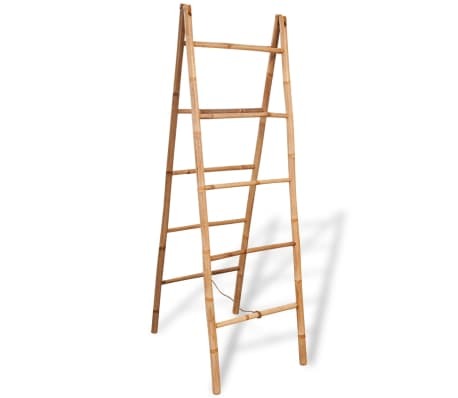 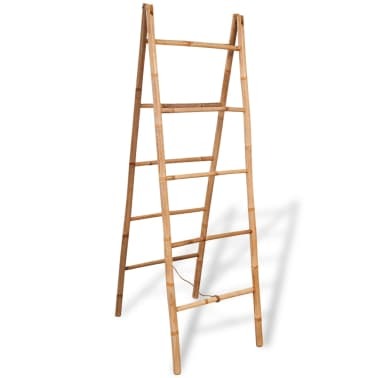 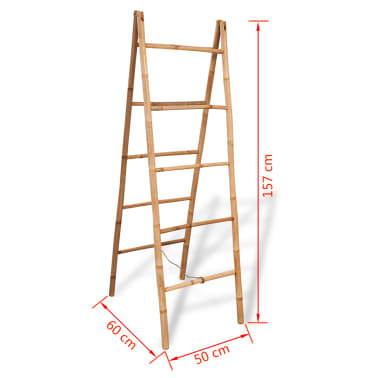 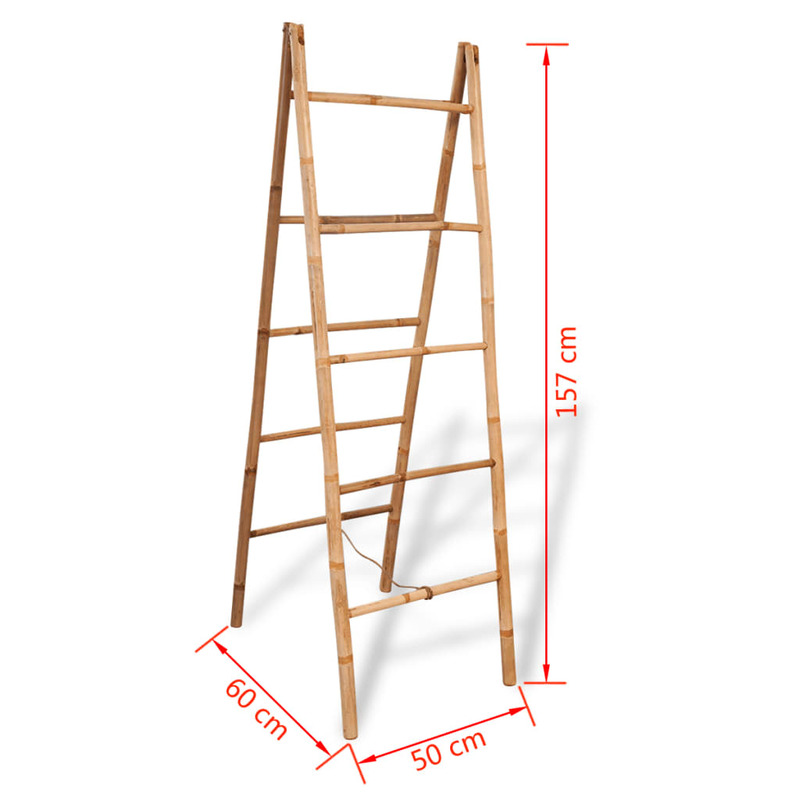 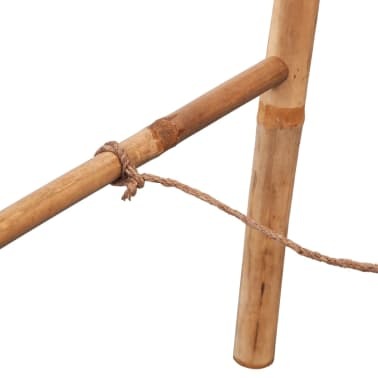 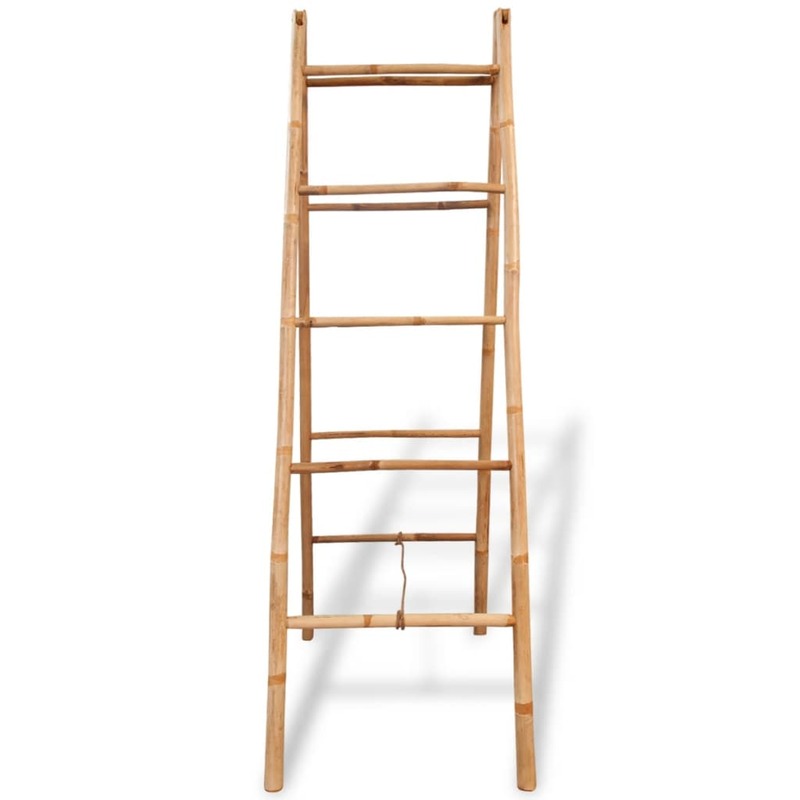 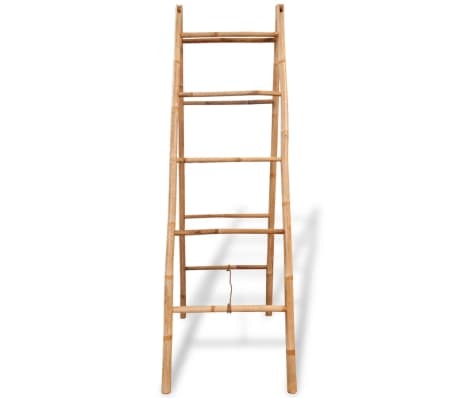 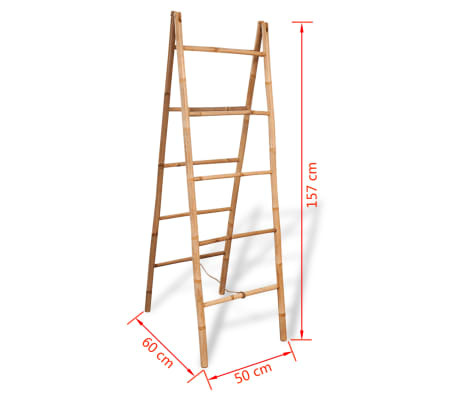 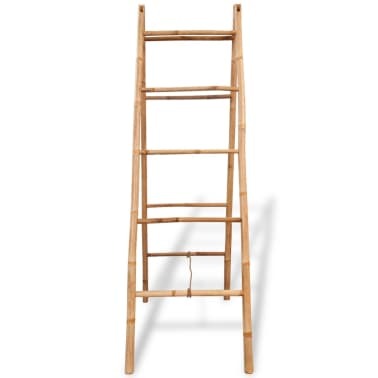 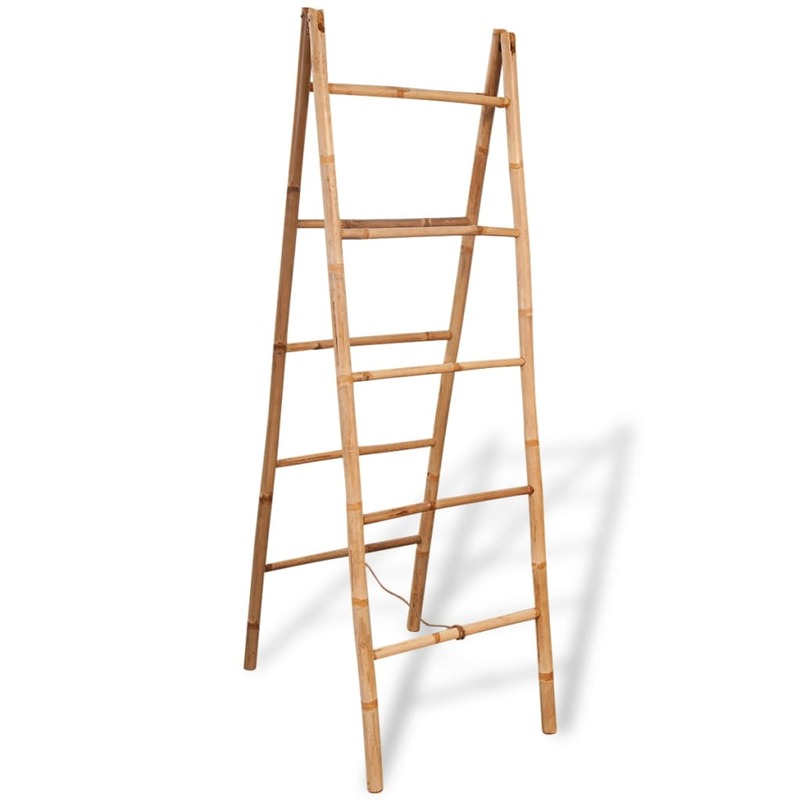 Made of high-quality bamboo, the towel ladder is strong and highly durable for years of use.